The 2018 ASCE election ballot assignments are official. View all of the nominees here. 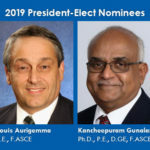 As announced in January, the official nominees for 2019 president-elect are Louis C. Aurigemma, P.E., F.ASCE, and Kancheepuram (Guna) N. Gunalan, Ph.D., P.E., D.GE., F.ASCE. For the post of technical region director, the nominees are Edward Kavazanjian, Jr., Ph.D., P.E., D.GE, NAE, F.ASCE, and David J. Odeh, P.E., S.E., SECB, F.SEI, F.ASCE. Members in every ASCE region will vote on new governors, and those in regions 3, 4, and 8 will vote on new directors. Online voting opens May 1 and closes June 1. Members at the grade of Associate and above in good standing as of April 1 will be eligible to vote. 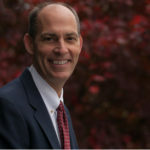 The online ballot will display the contests members are eligible to vote for, based on the region they live in, and in the case of technical region director, if they are members of an ASCE Institute. 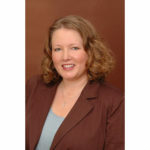 Paper ballots are available upon request by contacting Patty Montgomery, managing director of Executive and Board Operations, at pmontgomery@asce.org.